So for every person who can testify to their thoughts beating the disease, there will be many more making no such claims, and many more who sadly will not make it. It’s an obvious point maybe, but only those fortunate enough to live through Cancer are then around to write an inspiring book, make a video, or charge for a ticket to their seminar on how they believe they did it. The experience of one famous person who survived Cancer makes an interesting contrast. A few years ago cyclist Lance Armstrong was probably the best known ex-Cancer patient in the world. In the early chapters of his 2000 autobiography ‘It’s Not About the Bike’ he revealed that at one point his doctor gave him a 50% chance, but privately they thought the odds were closer to 20%. Like many people I read Armstrong’s autobiography believing his Tour De France performances were clean and fair. With the impression of Armstrong I’d gained from the media I also expected him to claim his recovery was at least in part due to his own dogged determination to survive. Armstrong was one of the lucky ones. When it comes to Cancer some things are in your control, others are not. 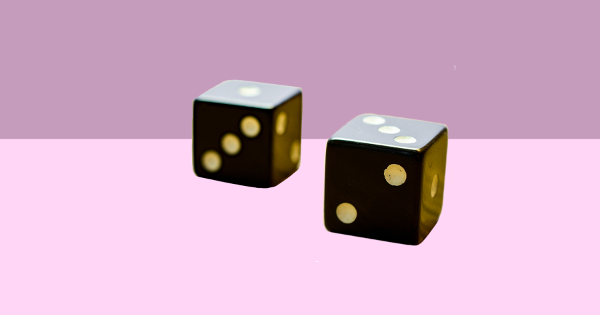 There is a rolling of the dice that you are ultimately not responsible for. This is not to ignore the co-dependent connection between mind and body. A run down body is likely to affect your mood, and the placebo effect is well documented. Nor is it an attack on the complementary health sector, which is as concerned by unsubstantiated miracle cures as anyone else. UK Cancer survival rates have increased significantly, in simple terms doubling in the last 4 decades. There is a lot of variation around the type of Cancer because no silver bullet has been found. Instead those gains come from different approaches to diagnosis and treatment, tested and evaluated to prove their worth, and a testament to the hard work and commitment of volunteers, researchers, fund-raisers and medical practitioners all over the world. The survival rate doubling is due to a number of factors, which I doubt include tens of millions of people curing themselves through the power of thought. When someone is diagnosed they need love and support – the last thing they need is false hope or minor celebrities like Noel Edmonds suggesting they are in some way to blame. Lance Armstrong used his time in the spotlight to raise the profile of research into Cancer and has undoubtedly saved many lives through his actions. The message in his autobiography was that Saints and Sinners have pretty much the same odds when it comes to Cancer. Cancer is not a judgement on your character. Having since been stripped of his seven Tour de France wins for cheating, Armstrong has rather proved his own point. Previous Previous post: The Human Animal – a breed apart? Next Next post: Public transport – an alternate route?